And here is the entire roadmap outlined for the year. As more details emerge, we will pst for each season, but you can check out what is expected after the jump as well as on the official roadmap post. Thanks to your continuous feedback, we have been able to fix many of the top issues and have made numerous improvements to the game. We also make scores of changes under the hood that aren’t as visible. These include changes to improve performance, detect new exploits, and make the experience smoother for everyone. There’s still work to do, but we’re happy to report that game and server stability has increased over 300% since launch. We’re thrilled by how much everyone is playing, with an average time of 4 hours a day. However, we know the game had a difficult launch, and we’ve made mistakes along the way. We share in your frustrations when we do. We’ll probably make a few more, and when we do, we will work to correct them as quickly as possible. 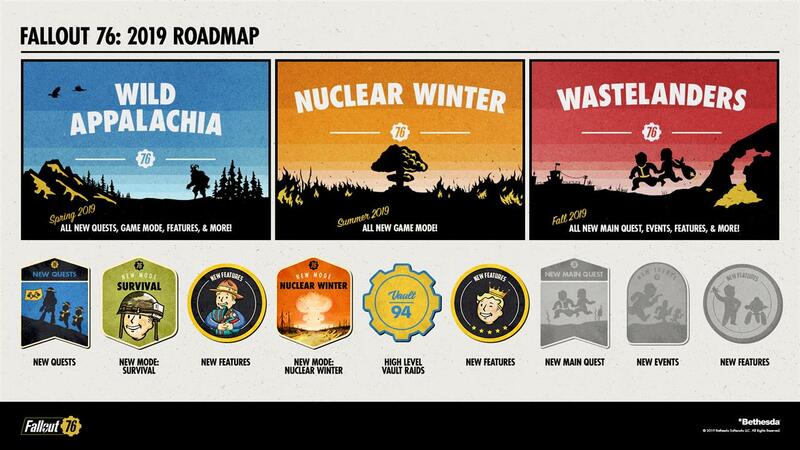 Know that we’re fully dedicated to making this game the best it can be - and even more so, a platform for endless Fallout adventures for years to come. Embark on a tale with true choice and consequences in Wastelanders – our biggest and most ambitious update for 76. 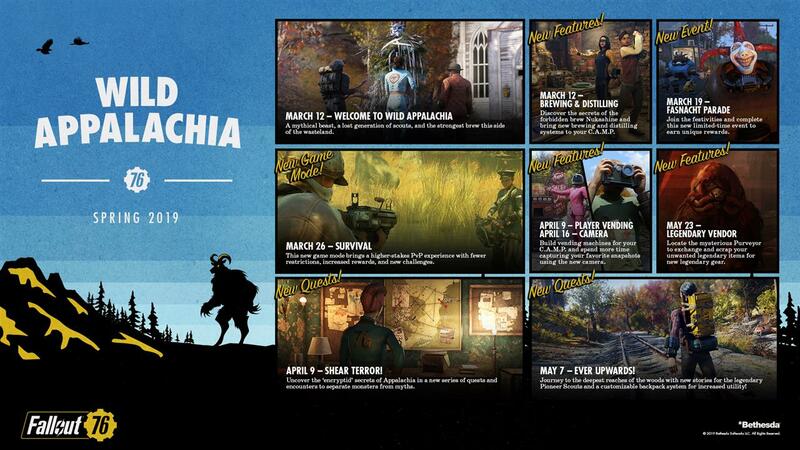 Wastelanders will include a new main questline, new factions, new events, new features and even more surprises.